As always prevention is the key. 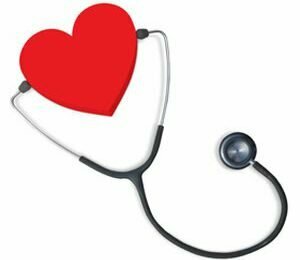 Maintaining the condition of our heart is important, no matter if you are working with a healthy heart, or have had a stroke, high blood pressure, congestive heart failure…. natural treatments and therapies can help! Aromatherapy can help soothe the heart, calm the nerves and slow a rapid pulse. As always, prevention is the key. Maintaining the condition of our heart is important, no matter if you are working with a healthy heart or have had a stroke, high blood pressure, congestive heart failure…aromatherapy can help! Helpful, are essential oils of Clary Sage, Bergamot, Geranium, Ginger, Lemongrass, Neroli, Rose and Rosemary and are all beneficial for the heart. Remember, it is always important to follow any guidelines or contraindications associated with any Western heart medications or history of epilepsy. Rose: A gentle Heart tonifier, Rose's psychological properties play mostly upon it effects on the mind. The mind, which is the center of our emotional being, extends it's energy to the heart. Rose oil calms, nourishes and supports the heart and helps restore a sense of well being. Rose oil can be very beneficial in helping with anxiety, palpitations and insomnia. The compassion of the Rose is seen through it's ability to heal emotional wounds. When loss, rejection or sorrow has injured our capacity for nurturing and self love, Rose oil brings a sweet and gentle comfort, binding the “heart strings” from the Heart to the Mind. Rosemary: Studies show that this oil improves general circulation. It is considered a heart tonic. Rosemary is also linked to decreases in cholesterol and blood pressure and the general maintenance of a health circulatory system. Warning: not recommended for those with a history of epilepsy. Massage in the chest and heart area, throat and neck. Always working towards the heart. Pour oil blend into the bath. Massage in the chest and heart area, throat and neck. Always working towards the heart. Pour oil blend into the bath. Works as a sensual perfume. Massage this blend into shoulders, arms, back, and front of neck and chest, heart center. Always massage towards the heart. Improves and stimulates circulation, strengthens the nervous system. Add 4-5 Rose petals to the blend. Massage this oil blend into the wrists, ankles, neck and anywhere else that seems appropriate! Herbal medicine is a wonderful preventative solution. Complications can arise when taking herbal medicine and allopathic drugs your doctor has prescribed. Great caution should be used especially if you are on blood thinners, diuretics or any other heart related medication. Consult your doctor with any questions you may have,before taking additional herbs or supplements. Blessed Thistle: Strengthens the heart. Capsicum: Blood pressure and health of blood vessels, Capsicum stimulants circulation, enhances blood flow and is considered to be food for the circulatory system. Capsicum assists in lowering blood pressure and breaking down cholesterol buildup. Cayenne Pepper is renowned, not only for healing the entire digestive system, and for arthritic pain relief, but also for the heart and circulatory system. It acts as a catalyst and increases the effectiveness of other herbs when used with them. Cayenne has been known to stop heart attacks within 30 seconds. Cayenne has a high source of Vitamins A & C, has the complete B complexes, and is very rich in organic calcium and potassium, which is one of the reasons it is good for the heart. Consider the synergy of taking both cayenne and Hawthorne berry together. Garlic: A rich source of potassium, zinc, selenium, vitamin A and Vitamin C, is commonly used to fight infection, increase circulation and help prevent cardiovascular disease. Consider eating raw Garlic every day; since it is a very effective antifungal agent, or use it in tincture form. Research has shown that garlic is an anti-cholesterol remedy and is recommended for heart and circulatory problems. This is a wonderful natural antibiotic and detoxifier which protects the body against infection by enhancing immune function, as well. Goldenseal: Berberine, an active ingredient of goldenseal, can dilate blood vessels. Therefore, it may prove useful in the treatment of certain causes of both irregular heartbeat and heart failure. Gotu Kola: Strengthens the heart and helps lower blood pressure. Hawthorn Berry: a member of the rose family, was recognized by physicians in the early 1800s for its ability to treat disorders related to circulation and respiration (breathing). Considered a “cardiotonic” herb, the flowers and berries of the hawthorn plant have been used in traditional medicine to treat irregular heartbeat, high blood pressure, chest pain, atherosclerosis, and congestive heart failure. Hawthorn berries contain large amounts of bioflavonoids, which help dilate and strengthen the walls of blood vessels, relax arteries, and improve circulation of blood to heart muscles. studies suggest that Hawthorn berry extract improves heart function and exercise capacity in those with CHF. Participants in research trials also report significantly improved symptoms (like reduced shortness of breath and fatigue). Hawthorn extract may even prove to be as effective as low doses of ACE inhibitors (a leading class of heart medication) in improving symptoms of congestive heart failure. Hawthorne must be taken daily to be affective. Kelp: Helps to clean and maintain the arteries. Mistletoe: Used as a cardiac tonic to stimulate circulation, reduce blood pressure and arteriosclerosis and strengthen capillary walls. Constricts blood vessels and stimulates heart beat. Motherwort: Improves blood flow circulation and reduces heart blood pressure and palpitations. Myrrh: Quickens the hearts action. Olive Leaf Extract: Naturally support the circulatory and immune systems. Rosemary: Is considered a heart tonic. Salmon: Omega-3 fatty acids. Grill salmon with a yummy rub or marinade. Save a chunk to chop for a pasta or salad later on. Try this omega 3 powerhouse salmon recipe. Flaxseed (ground): Omega-3 fatty acids; fiber, phytoestrogens. Ground flaxseed hides easily in all sorts of foods — yogurt parfaits, morning cereal, homemade muffins, or cookies. Oatmeal: Omega-3 fatty acids; magnesium; potassium; folate; niacin; calcium; soluble fiber. Top hot oatmeal with fresh berries. Oatmeal-and-raisin cookies are a hearty treat. Black or Kidney Beans: B-complex vitamins; niacin; folate; magnesium; omega-3 fatty acids; calcium; soluble fiber. Give soup or salad a nutrient boost — stir in some beans. Almonds: Plant omega-3 fatty acids; vitamin E; magnesium; fiber; heart-favorable mono- and polyunsaturated fats; phytosterols. Mix a few almonds (and berries) into low-fat yogurt, trail mix, or fruit salads. Walnuts: Plant omega-3 fatty acids; vitamin E; magnesium; folate; fiber; heart-favorable mono- and polyunsaturated fats; phytosterols. Walnuts add flavorful crunch to salads, pastas, cookies, muffins, even pancakes. Red wine Catechins and reservatrol (flavonoids): Toast your good health! A glass of red wine could improve “good” HDL cholesterol. Tuna: Omega-3 fatty acids; folate; niacin. Here's lunch: Salad greens, fresh fruit, canned tuna. Keep “Salad Spritzer” – a light dressing — in your office fridge. Tofu: Niacin; folate; calcium; magnesium; potassium. Tasty tofu is easy: Thinly slice “firm” tofu, marinate several hours, grill or stir-fry. Brown rice: B-complex vitamins; fiber; niacin; magnesium, fiber. Microwavable brown rice makes a quick lunch. Stir in a few chopped veggies (broccoli, carrots, spinach). Soy milk: Isoflavones (a flavonoid); B-complex vitamins; niacin; folate, calcium; magnesium; potassium; phytoestrogens. Soy milk is great over oatmeal or whole-grain cereal. Or, make a smoothie with soy milk. Blueberries: Beta-carotene and lutein (carotenoids); anthocyanin (a flavonoid); ellagic acid (a polyphenol); vitamin C; folate; calcium, magnesium; potassium; fiber. Cranberries, strawberries, raspberries are potent, too — for trail mixes, muffins, salads! Carrots: Alpha-carotene (a carotenoid); fiber. Baby carrots are sweet for lunch. Sneak shredded carrots into spaghetti sauce or muffin batter. Spinach: Lutein (a carotenoid); B-complex vitamins; folate; magnesium; potassium; calcium; fiber. Pick spinach (not lettuce) for nutrient-packed salads and sandwiches. Broccoli: Beta-carotene (a carotenoid); Vitamins C and E; potassium; folate; calcium; fiber. Chop fresh broccoli into store-bought soup. For a veggie dip, try hummus (chickpeas). Sweet potato: Beta-carotene (a carotenoid); vitamins A, C, E; fiber. Microwave in a zip-lock baggie for lunch. Eat au naturale, or with pineapple bits. Red bell peppers: Beta-carotene and lutein (carotenoids); B-complex vitamins; folate; potassium; fiber. Rub with olive oil, and grill or oven-roast until tender. Delicious in wraps, salads, sandwiches. Asparagus: Beta-carotene and lutein (carotenoids); B-complex vitamins; folate; fiber. Grill or steam slightly, then dress with olive oil and lemon. It's a pretty side dish. Oranges: Beta-cryptoxanthin, beta- and alpha-carotene, lutein (carotenoids) and flavones (flavonoids); vitamin C; potassium; folate; fiber. Got orange juice? Check out the new nutrient-packed blends. Tomatoes: Beta- and alpha-carotene, lycopene, lutein (carotenoids); vitamin C; potassium; folate; fiber. For a flavor twist, try oil-packed tomatoes in sandwiches, salads, pastas, pizzas. Acorn squash: Beta-carotene and lutein (carotenoids); B-complex and C vitamins; folate; calcium; magnesium; potassium; fiber. Baked squash is comfort food on a chilly day. Serve with sautÃƒÂ©ed spinach, pine nuts, raisins. Cantaloupe: Alpha- and beta-carotene and lutein (carotenoids); B-complex and C vitamins; folate; potassium; fiber. A fragrant ripe cantaloupe is perfect for breakfast, lunch, potluck dinners. Simply cut and enjoy! Papaya: Beta-carotene, beta-cryptoxanthin, lutein (carotenoids); Vitamins C and E; folate; calcium; magnesium; potassium. Serve papaya salsa with salmon: Mix papaya, pineapple, scallions, garlic, fresh lime juice, salt and black pepper. Dark chocolate: Reservatrol and cocoa phenols (flavonoids). A truffle a day lowers blood pressure, but choose 70% or higher cocoa content. Tea: Catechins and flavonols (flavonoids). Make sun tea: Combine a clear glass jar, several tea bags, and hours of sunshine. A recent study from the British Journal of Nutrition and Metabolism 2006 “Chocolate and Prevention of Cardiovascular Disease: A Systematic Review” shows that the effects of chocolate can help people suffering from Heart Disease. Heart Disease is the leading cause of death in humans and seems to be increasing in the USA. Check with your naturopathic human doctor for yourselves for dosages, but what was stated in the article was about 75 gms daily. Buy only organic, and “free trade” chocolate that does not come from countries using “slave labor” practices. Cardio Support contains ingredients that affect different aspects of cardiovascular health, including arterial integrity, blood health, heart muscle strength and better blood flow. Additionally, the ingredients in Cardio Support overlap their abilities, to enhance one another’s effects, increasing long-term heart health and protection against degenerative disease. Cardio Support is the only natural supplement that we are aware of which utilizes enteric coating technology to safely release the active ingredients in the stomach. This delivery method not only protects the enzymes such as Nattokinase but also greatly enhances the efficacy of other ingredients present such as Resveratrol and L-Glutathione. No other formula covers so many ‘angles’ to manage and protect your cardiovascular system, and yet Cardio Support is still natural with no known side effects. Learn more about Cardio Support now.